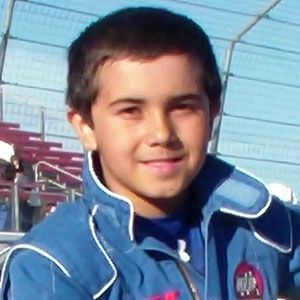 Young racer for INEX Bandolero Series who had seventeen Top Five finishes in 2010. He was also champion of the Bakersfield Kart Club Track that same year. He was racing as part of the International Karting Federation by age six. He was the California State Bandolero Champion in 2011. He was inspired to pursue racing after seeing his cousins racing karts. He and fellow racer Steve Wallace have both been champions in the INEX Bandolero Series.